The quality of the air in your home can have a big impact on your health. Poor air quality can set off allergies and sinus problems. It’s especially problematic for people with respiratory illnesses such as asthma. There are several steps you can take to ensure that your indoor air quality is good. Sometimes homeowners are directly responsible for polluting their own indoor air. One of the worst culprits is smoking, which makes the air toxic. If there are any smokers in your household, make sure they go outdoors to indulge. There are also other, less obvious sources of indoor air pollution. These include air freshners that contain harsh chemicals, scented candles, incense and smoke from woodburning stoves. Being aware of what you burn and spray in your home is the first step towards developing healthier habits. One of the simplest ways to maintain good air quality is to thoroughly clean your home on a regular basis. Dusting and mopping helps control dust, which contains dust mites and allergens. If you have carpets, it’s helpful to use a quality vacuum, preferably one with an HEPA filter. This removes dust and debris that ordinary vacuums miss. If you have pets, be sure to manage the accumulation of cat or dog hairs, which contribute to poor air quality. A high level of humidity contributes to problems such as mold and the proliferation of dust mites. 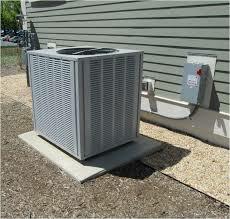 Air conditioning and dehumidifiers help to reduce humidity. It’s also helpful to keep air circulating in your home, especially when you’re cooking. Keeping windows open and using fans are useful for this purpose. As a general rule. try to maintain humidity levels at below 50 percent. Old and dirty HVAC filters are among the biggest culprits when it comes to poor indoor air quality. As you heat or cool your home, air is constantly circulating. If the filters aren’t changed, debris starts to accumulate and your air quality suffers. It’s important to have these filters changed every few months. Insulation also affects the quality of your indoor air. Many outdoor pollutants, such as dust, allergens and pollution from automobiles, factories and other sources can enter your home through unsealed spaces and cracks. Insulation not only keeps your home at a comfortable temperature, it also helps to maintain good indoor air quality. It’s a good idea to test your indoor air quality. While some contaminants are obvious, some of the most deadly, such as radon, are odorless. You can buy home air quality tests or hire someone to do this for you. You can test for mold, radon, formaldehyde and other impurities that can pose a health hazard. For more information on energy efficiency or for details on insulation, contact USI online to find a branch near you and get a free quote. USI believes in excellence in every step of the process and ensures timely completion and quality of service, time after time. They came out the next day, Were on time, finished in less than an hour and cleaned up after themselves. Very professional.